We have fantastic news…we’ve finally been drafted by the pros and moved to our own site, crazie-talk.com ! From now on, we will be able to bring you more video, photos, features, and everything that makes this blog great. Get ready for live blogging during away games (Crazie-Talk style), half-time shows, in-depth recruiting analyses, and more. 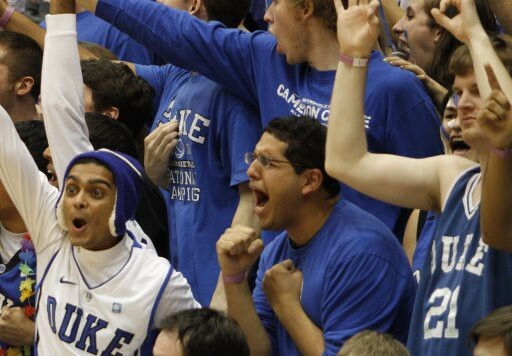 Best of all, in less than two weeks, the five founders of Crazie Talk will be back on the Duke campus. So if it’s happening in or around the Gothic Wonderland, we will be there reporting and bringing you the important information. So bookmark the new blog, tell your friends–tell your grandma!